The IDF has recently broadened its Door to Door Project, which streamlines the process of transferring Arab merchandise for sale in Israel, and has added additional production plants to the project. A ceremony held earlier this month marking the augmented program’s new services was attended by Israeli representatives from the National Security Council and the Israel Police, as well as representatives of USAID, the Quartet and the US Consulate. The Door to Door Project was launched for the purpose of helping Arab business people transfer their merchandise from Judea and Samaria to other areas in Israel directly and quickly and at a low cost. Until the project’s launch, the “Back to Back” procedure for transfer of Arab goods for sale in to Israel required that an Arab businessperson deliver the goods to a crossing on an Arab-owned truck, where the merchandise would be unloaded, checked, and reloaded onto an Israeli truck that would bring the merchandise to its destination. 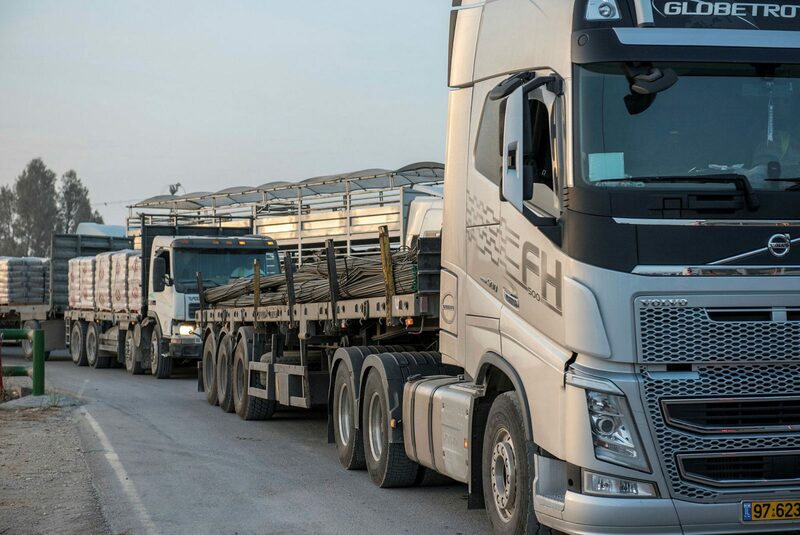 In recent months, the IDF’s Civil Administration initiated and led a pilot program in which five Arab production plants transferred their merchandise via the Tarqumiya Crossing, south of Hebron, to other areas in Israel using an Israeli truck that left the Arab production plant, underwent a security check and continued directly to its destination in Israel. So far, the project has been crowned as a success. The Coordination of Government Activities in the Territories (COGAT), the IDF unit tasked with implementing the government’s civilian policy in Judea and Samaria and vis-à-vis the Gaza Strip, reported that five Arab companies have increased their profits by more than NIS 500,000 in the first six months of the project’s implementation. Similarly, the project’s implementation has led to the addition of 180 new workers to the Arab workforce. Accordingly, the Civil Administration is working on expanding the project to the Samaria area in order to facilitate the development of the local Arab economy and help the various production plants throughout Judea and Samaria. Audrey Adams, a Quartet representative, said that the project has increased the trucks’ trips by 150 percent. “We think the program has been an amazing success. From my perspective, I’m thrilled that the government of Israel has embraced this program,” she stated. “The Civil Administration will continue to work to advance the economy for the good of all the people living in Judea and Samaria,” he underscored. the Quartet and the US Consulate.